Being a universal philosophy, Theosophy transcends each and all of the sects, religions and philosophies now existing. From the point of view of esoteric wisdom, the student himself is the very telescope through which he must look at life. This is one of the practical reasons why, in order to understand theosophy, the truth-seeker must have a clean life, an open mind and a pure heart. Wisdom can only be obtained by merit. It is necessary to get rid of attachment to outer form, rituals and superstitious beliefs. And while this tenet is central to the original teachings of theosophy, it is totally ignored by the pseudo-theosophy fabricated by some leaders of the Adyar Theosophical Society between 1900 and 1934. Esoteric philosophy gives its students tools with which they can liberate themselves from such delusions. 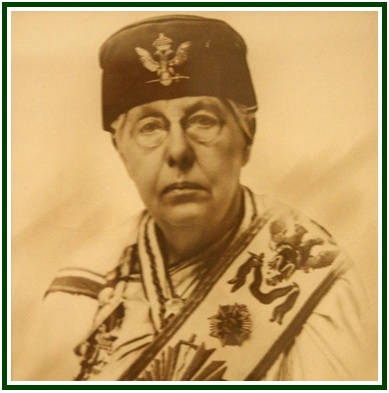 In the famous Letter of 1900, which was addressed to Annie Besant, a Master anticipates and warns against the main mistakes that the Adyar society would make from that moment on. The warning was useless to Annie Besant. A few years after the warning, she adopted various rituals as tools to obtain political power in the esoteric movement. Besant and other false clairvoyants combined theosophy with masonry, promoted a “theosophical catholic church” and started organizing the “return of the Christ” through the person of Jiddu Krishnamurti. For almost two decades, Krishnamurti willingly played the theatrical role of “Jesus Christ” while was manipulated by Annie Besant. He finally abandoned the Society of Adyar in 1929, closing the main and more visible part of the tragic comedy of a Besantian Avatar. “Isis Unveiled” is among the most important works written by Helena P. Blavatsky. There we can see her critical approach regarding the modern masonic rites. HPB reveals that modern masonry was widely infiltrated. Its rituals were changed and adulterated by the Jesuits, which played the role of espionage agency in charge of undercover operations for the Vatican. In the first half of the 21st century, a large section of the theosophical movement still does not see the importance of the words quoted above. However, a small and significant part of the movement has remained away from blind belief and available to free thinking. It is possible to imagine a future moment when most of theosophical associations will have rejected ritualistic structures, being organized instead in more spontaneous ways around the authentic teachings. This is how a few theosophical groups see even now the future of the esoteric movement. Even the Adyar Society is making progress in that direction, although in such a slow way that cannot be easily detected. According to an old popular saying, “a lie has short legs”. While the false theosophy of Annie Besant and C. W. Leadbeater is gradually abandoned, the number grows of Adyar theosophists who discover the permanent value of true theosophical literature and focus their attention on the teachings of the Masters and Helena Blavatsky. As time passes, the speed of this process undergoes an acceleration, which is beneficial to the esoteric movement as a whole. There is no need to spend one hundred years more in the process of abandoning the old illusions created by false clairvoyants during the first half of the twentieth century. Letter XVI, page 111 in “The Mahatma Letters”, TUP edition, Pasadena, CA, USA. “Early Teachings of the Masters (1881-1883)”, C. Jinarajadasa, Kessinger Publishing Co., USA, facsimile edition of the TPH-India 1923 edition, 245 pp., see p. 61. Letter XVI, page 116 in “The Mahatma Letters”, TUP edition, Pasadena, CA, USA. See in our associated websites the article “The 1900 Letter From a Mahatma”. The Letter is also part of the volume “Letters From the Masters of the Wisdom”, first series, edited by C. Jinarajadasa, TPH, 1973, Letter 46. “Buddhist Catechism”, by H. S. Olcott, various editions, question and answer number 184, in Part II. “The Mahatma Letters”, TUP ed., Pasadena, CA, Letter XXVIII, pp. 209-210. “The Mahatma Letters”, TUP edition, Pasadena, CA, see Letter LXXXV, p. 399. In the chronological edition, see Letter 120. See “Isis Unveiled”, Theosophy Co., Los Angeles, volume II, pp. 381-391, among others. “Collected Writings”, H.P. Blavatsky, TPH, Adyar, India, volume XI, p. 266.